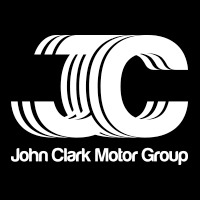 John Clark Motor Group is a family-run vehicle dealer group that operates in the northeast of Scotland. The company has 33 dealerships and specialises in the sale of cars, vans and motorbikes made by 12 renowned marques. Customers can find new and used models from these brands, as well as a range of other used vehicles from other makes at John Clark Motor Group dealerships. The business also provides customers with MOTs, servicing, parts and accessories and repairs. The company offers a business fleet service and a Motability scheme, too. The business was founded by the current chairman, John Clark, over 40 years ago. Mr Clark originally started out with a single sports car dealership, and has since overseen the company’s growth to its present success. In 2016, Mr Clark received an OBE for his services to business and motorsport. In addition to this, John Clark Motor Group has won numerous company-wide awards. At the 2015 AM Awards, it picked up the title of ‘Retailer of the Year’, and at the 2016 awards, it collected the coveted award for ‘Best Training and Development Programme’. At John Clark Motor Group dealers, customers can discover a range of cars to suit various budgets. Customers can browse a selection of new cars from Audi, BMW, Dacia, Jaguar, Land Rover, MINI, Nissan, Peugeot, Renault, SEAT, Skoda and Volkswagen. On top of this, John Clark Motor Group dealerships sell used cars from a variety of other manufacturers, such as Citroen, Fiat, Ford, Mercedes-Benz, Porsche and Volvo.